Derived from a cross of Fire Alien (OG Raskal) x Guava #13 (Topdawg). 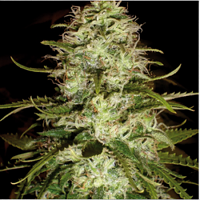 Alien Fire Fruit Feminized Cannabis Seeds by Holy Smoke Seeds: Derived from a cross of Fire Alien (OG Raskal) x Guava #13 (Topdawg). The pedigree and breeding behind this strain is what makes it so special - Holy Smoke have developed Alien Fire Fruit to retain the best characteristics of the parent varieties - You get the sweet flavour of the Guava #13 which in turn, retains the potency of its mother - StarDawg. From the other half of the genetics, Alien Fire Fruit borrows the stability and appeal of Fire Alien from OG Raskal. When cultivated in a legal climate, growers have reported superb, dank, resinous buds with a pungent aroma reminiscent of fermenting fruit with a hint of the Chem side of the genetics. This is sure to be a popular strain - Fire Alien has a host of devotee collectors keen to preserve the genetics and we believe Alien Fire Fruit will be no different. 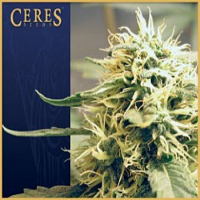 Don't miss your chance to add this amazing variety of marijuana to your collection.